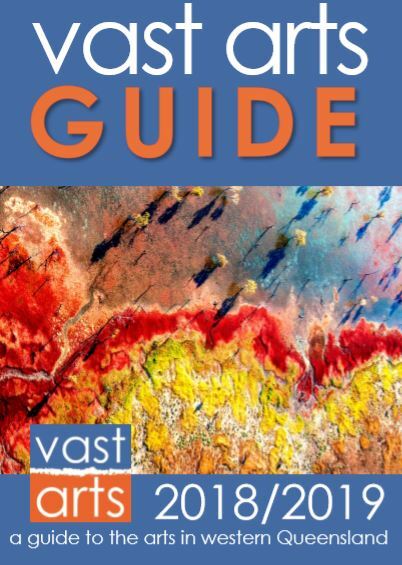 The new edition of the Vast Arts Guide is now out and about! If you would like a copy for yourself, or would like to have some available for your customers or clients, please let us know. You can find them at Visitor Information Centres and other outlets throughout the region. The Museums Galleries Australia Queensland (MGAQ) management committee is seeking nominations for two elected positions to replace two elected committee members who were fare-welled earlier this year. If you are interested in representing your peers, and want to contribute to advancing the sector, you are encouraged to nominate to join the committee of MGAQ, and become actively involved. They are accepting expressions of interests for the committee now, and positions are open to all MGAQ financial members. Individuals can nominate themselves or other individual members. Your EOI should be accompanied by a nomination form and a brief 200 word statement supporting your nomination, which will be circulated to the committee for consideration. MGAQ respects and values the willingness of its committee members to make a voluntary commitment of their time. Please submit your EOI and nomination form via email to Karike Ashworth: membership@magsq.com.au by 31 July 2018. If you have any questions please contact our Membership Officer, Karike Ashworth, on 07 3059 9745 or membership@magsq.com.au. Only MGAQ members are eligible to be on the MGAQ committee. 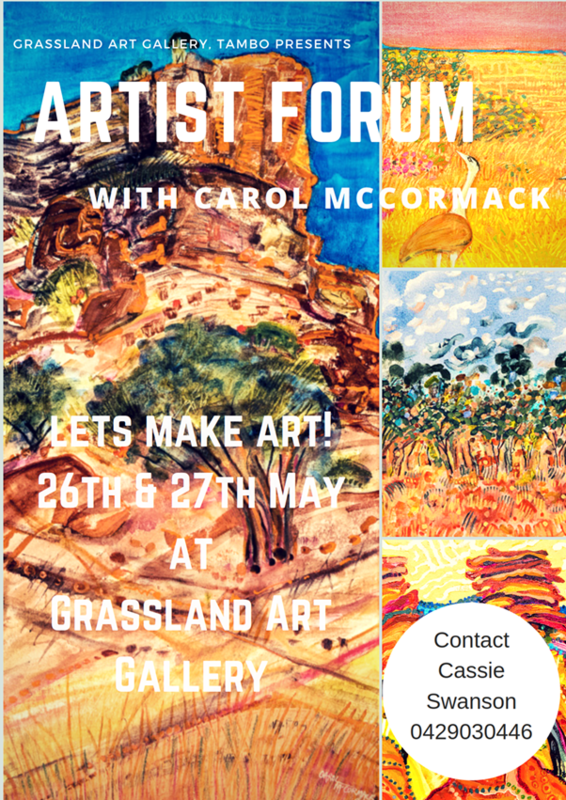 12th and 13th May at Longreach Arts and Crafts Centre. 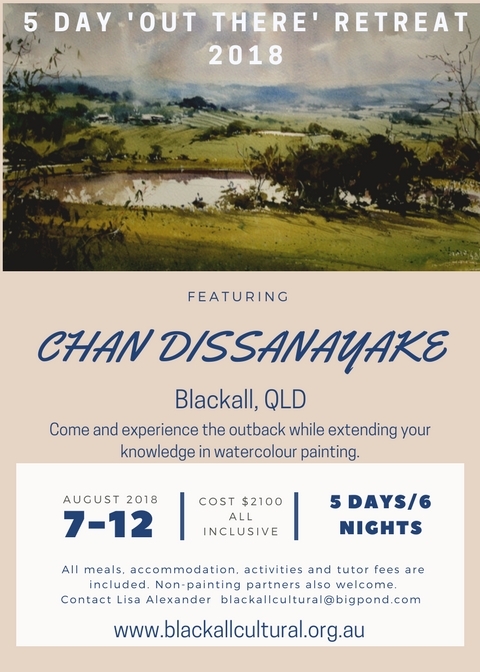 For further details, contact Kathy 0408 787 572 or email mazenbee@bigpond.com. Take part in a unique immersion experience in contemporary art practice across galleries in Brisbane, and work with established industry mentors to hone your art writing skills. Your essays will be published in a high quality publication produced by the Institute of Modern Art. Artists who live and/or work in the Western Downs Regional Council area are invited to submit work in any media to the 2018 Regional Artists' Exhibition responding to the theme '50 Shades…'. This exhibition encourages artists to explore the values of light and shade, any subject, with no limits - no light, low light, directional light, 2D or 3D work. The possibilities are endless, monochromatic or a myriad of colours. Be brave and SHADE!!!! 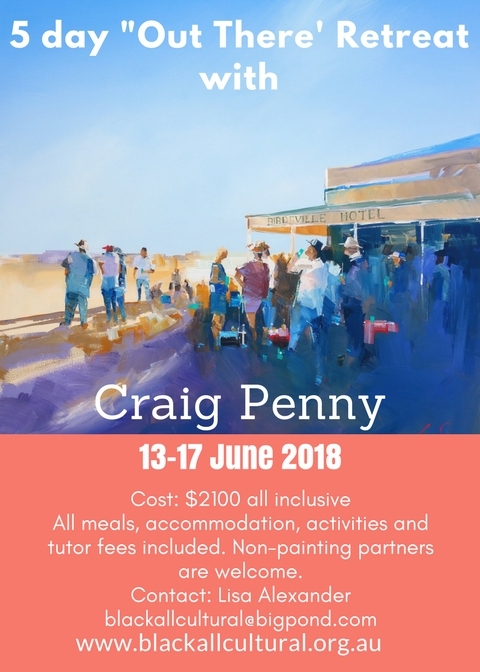 An annual visual arts prize and exhibition for established and emerging artists living in remote and regional Queensland. The theme for 2018 is Wanderlust. 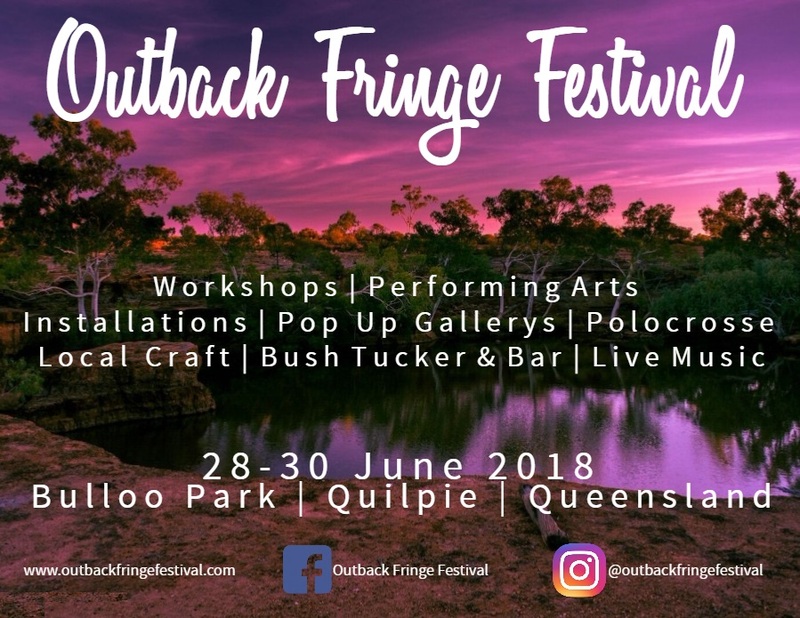 From dirt roads to rock pools, luscious rainforests to local festivals, Queensland is a state that inspires exploration. It’s full of diverse personalities, local legends and hidden gems valued by tourists and locals alike. This year, artists are asked to embrace a spirit of adventure to discover something unique about their own community or one that they visit within the state. 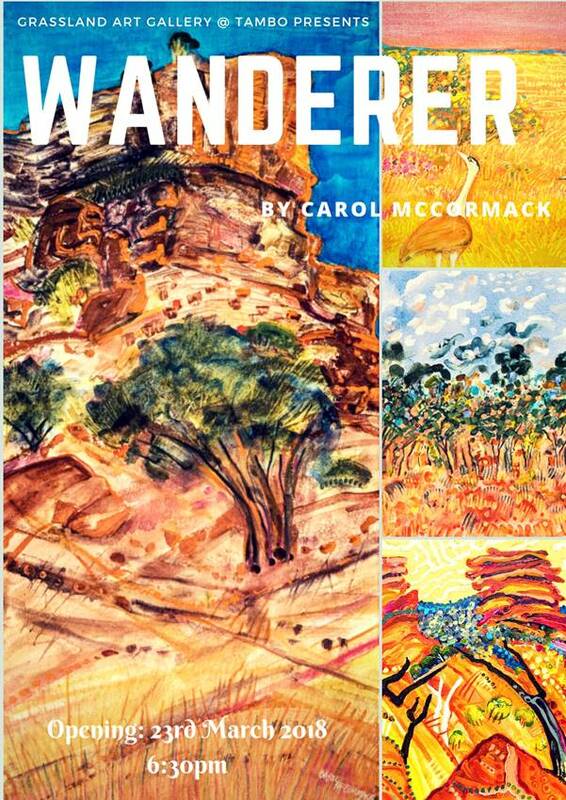 Wanderer - an exhibition of works by Carol McCormack. This exhibition visually rethinks concepts of landscape and what they mean in an age where space and cosmological research are revealing more about Earth's universal environment. Cosmology, the scientific study of the universe across all temporal and spatial scales, provides new perspectives of Earth and humanity in an era where emerging technologies pose both opportunities and threats. These perspectives are explored by untethering landscape from Earth-bound horizons to search for orientation via new universal horizons. On display until 21 May 2018. People Like Us captures universal aspects of the contemporary human condition in film, animation, digital and interactive art. In a diverse collection of recent new media works by Australian and international practitioners, the exhibition also reveals the many experimental technologies being deployed by artists as they comment on issues confronting us in the 21st century. 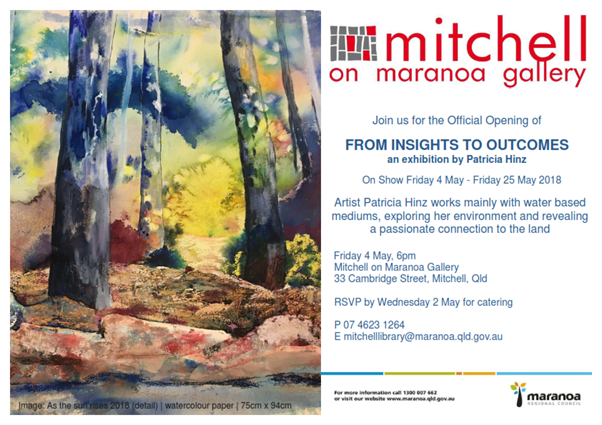 Official opening Friday 25 May, 6.30pm, Artist Floor Talk with Laura Fisher prior to official opening at 7.00pm. On display until 16 July 2018. Simon Ellwell exhibition titled Stoody Wuff, Nimsy and Wonsence on show until 26 June 2018. Curated by UNSW Galleries Director Felicity Fenner, People Like Us captures universal aspects of the contemporary human condition in film, animation, digital and interactive art. In a diverse collection of recent new media works by Australian and international practitioners, the exhibition also reveals the many experimental technologies being deployed by artists as they comment on issues confronting us in the 21st century. Closes 5 June 2018. To support a range of activities that deliver benefits to the arts sector and wider public, including national and international audiences. Closes 18 June 2018. To support mid-career and established creative writers and visual artists to create and develop new work by providing time to write and create.